The other day, when I clicked open the Pinterest-app on my phone, this image immediatly jumped out to me. Of course, I immediatly clicked through and arrived on the blog of Jessie van In, a.k.a. Projectarian. 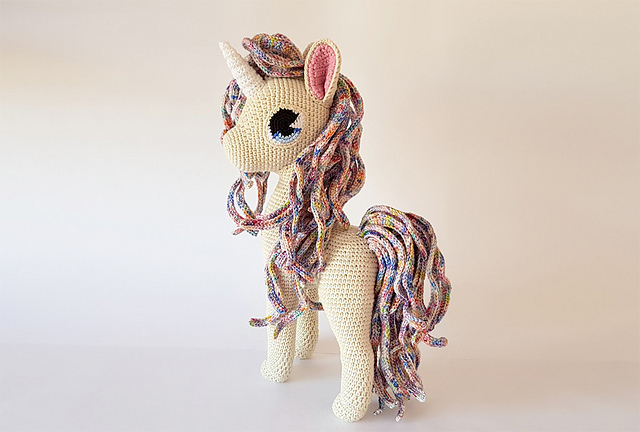 This sweet unicorn is a pattern she designed based on her years of experience of crocheting her Nomadic Galaxy Pony’s. 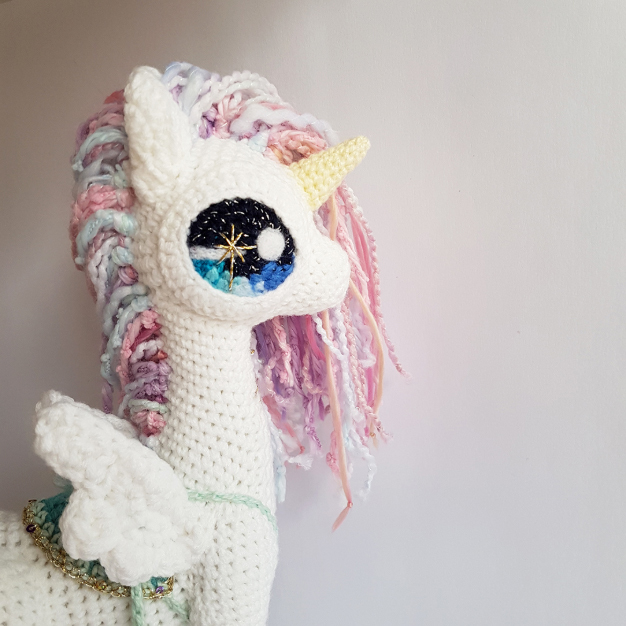 Each time she posted a photo of on of these magnificent pony’s, she was flooded by requests for the pattern. But she found it difficult to share the pattern, because it is not a standard one, but one that incorporates a lot of different techniques. 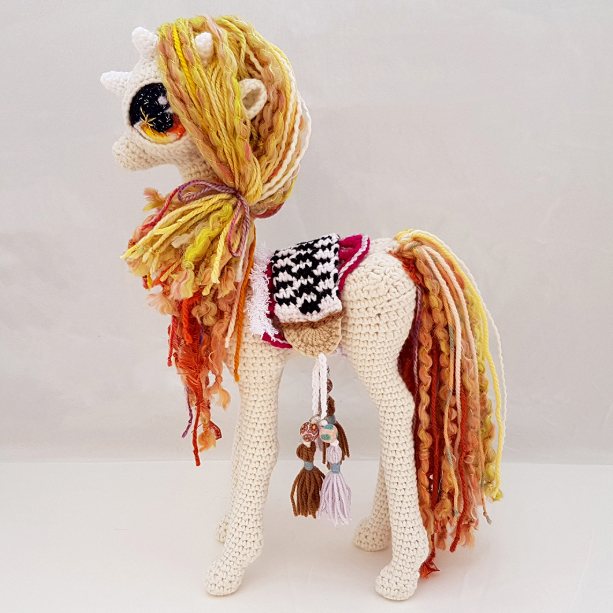 She also had the tendency to, each time she made a pony, to change something to the pattern. 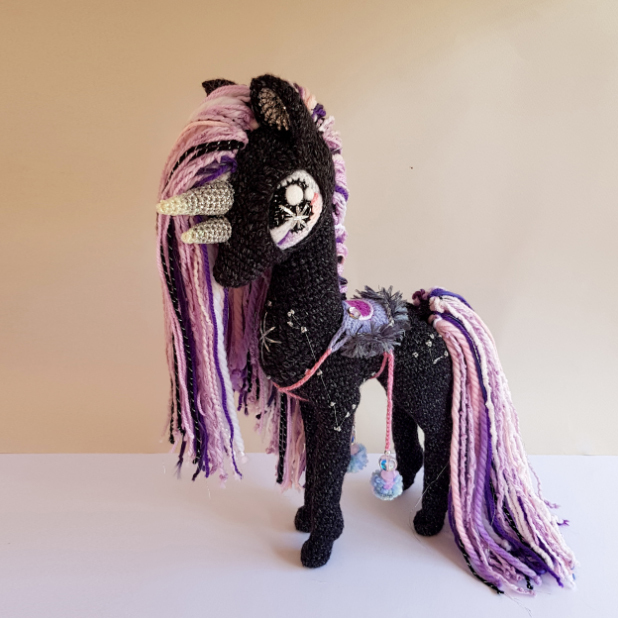 That is why she decided to create Comet, a unicorn based on her own pattern, but rediced to the basics, so everyone could make her. 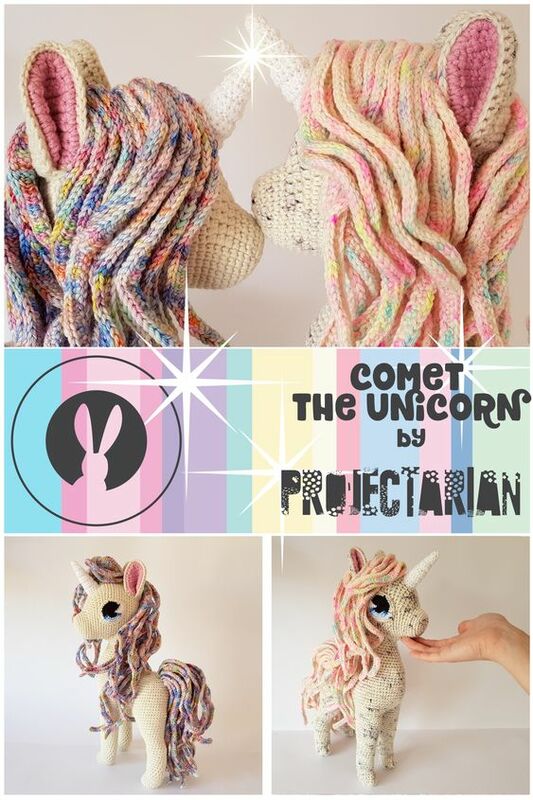 Today, on November 21st, the pattern will officially be released in the format of a CAL or Crochet-A-Long. The full details can be found here on Comet’s page on Hooked on Sunshine. The pattern can be bought there or you can also by it, like me, on Ravelry here. Soon I’ll sift through my stash in search of the perfect colours to make this little one! *sings mantra* I will not be buying more yarn. I will not be buying more yarn. I will not be buying more yarn. P.S. : And for those wondering, no, this post was NOT sponsored.